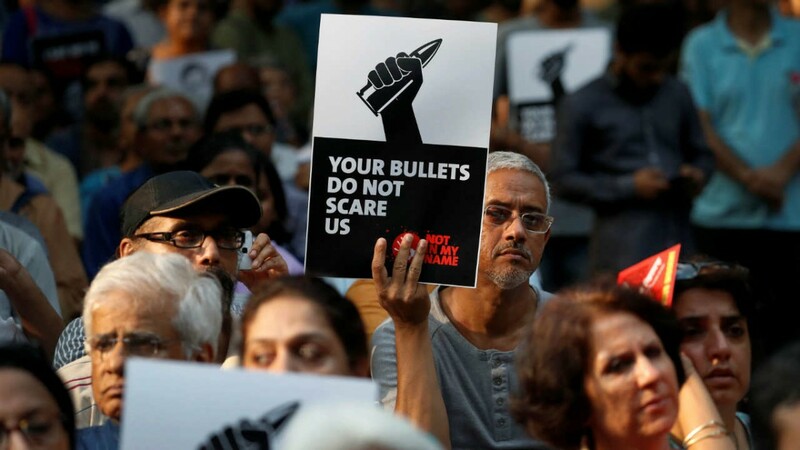 Despite attempts to instill fear in those who dissent or ask questions, there are still individuals – journalists like Lankesh, RTI and human rights activists – willing to hold people in power accountable. 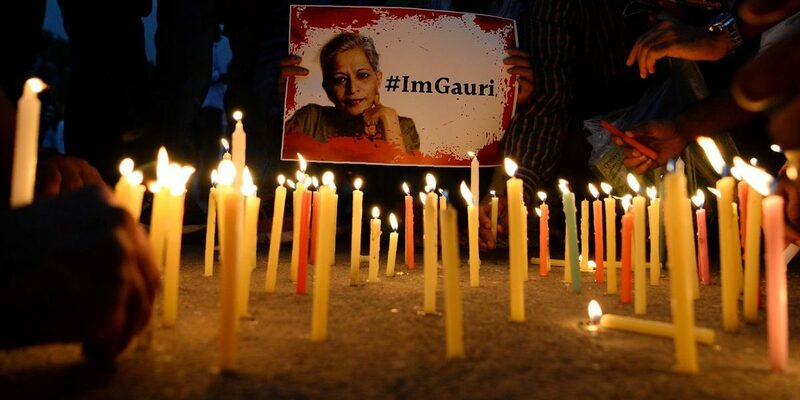 If she had lived, Gauri Lankesh would have been 57 today. Even as we note this, we should remember that she disliked the way we, in India, celebrate birth anniversaries of people long dead. In her view, jayantis were unnecessary. Coincidentally, tomorrow is January 30 – which marks 71 years since Mahatma Gandhi was shot dead. The ideologies of the man who shot Gandhi and the one who killed Gauri are mirror images. That said, and with apologies to Gauri, this is as good a day as any to consider why we should remember her. Not just for the deadly manner in which she was assassinated on September 5, 2017. Not for her outspokenness, her willingness to confront people she knew were dangerous when opposed and her determination to continue doing so even when voices of caution and support around her suggested she go easy. It is because the message her murder sent was that journalists or even anyone willing to take a stand, speak the unpalatable truth or ask uncomfortable questions need to be confronted and opposed. He said this in the latter part of 2017, and by the ‘National Project of Instilling Fear,’ he was referring to the threats and intimidation – and deaths – of journalists who raised their voices. Has this project worked as far as the media is concerned? To be clear, Gauri was not a part of mainstream media, except when she began her career. She could not have survived there. 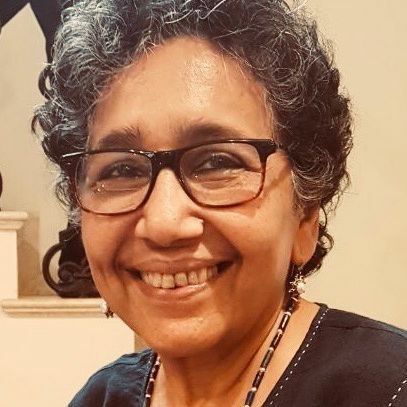 She could do what she did because she owned and published the journal in which she wrote her trenchant critique of the followers of Hindutva. So her death was not a message to the majority of journalists in mainstream media who have nothing to fear. But certainly to the exceptions, like Ravish Kumar, who continue to speak the uncomfortable and unpalatable truth to those in power today. Mainstream media has not suddenly become quiet because of a project to instill fear that involves attacks on journalists. It has willingly conformed. It has chosen, without any coercion, to wear blinkers. What it does not see, it does not report. So if the government claims that all is well, that the nation is in good hands, that the economy is doing well, that poor people are happy and that there is no caste or religious discrimination, then this is what the media reports. The Indian media falls short in fulfilling its job as the fourth estate not because it is fearful. It does so in large part because its financial survival is premised on it being seen as less than adversarial towards the powerful, in government and in the world of business. This was true even before the BJP and Narendra Modi came to power. Also, as Siddhartha Deb correctly pointed out in his essay in the Columbia Journalism Review last year, Gauri’s killing represented a threat not just to journalists. “Sometimes, it appears as if the enemy is information itself, along with transparency, exposure, critical thinking—anything and everything that might be seen as characteristic of a free, open society,” he wrote. With information seen as the enemy, it is not surprising that there is a growing list of RTI activists who are attacked and killed. Their number exceeds that of journalists. Within months of Gauri’s assassination, Nanjibhai Sondarve was clubbed to death in Manekvada village in Gujarat for demanding transparency in a road construction project. A few days later, on March 20, Poipynhun Majaw became the first RTI activist to have been killed in Meghalaya. In April 2018, Jayant Kumar from Vaishali district in Bihar was killed for taking on the liquor mafia. In Bihar alone, in 2018, five RTI activists were killed. And even as navy divers struggle to retrieve the bodies of the 15 unfortunate miners who died a terrible death in the long-banned rat-hole mines in Meghalaya, we must not forget that just weeks before this tragedy, two women who were exposing the coal mafia in the state were almost killed. RTI activists Agnes Kharshiing and Anita Sangma are still recovering from that attack. These people are not journalists and do not attract the same kind of attention that scribes do when they are attacked or killed. Yet, they are doing what journalists are supposed to be doing – holding people in power accountable and demanding transparency. The actual project to instill fear began well before Gauri’s murder. But it has grown in these last four years. This consists of the growing impunity with which individuals and groups take law into their own hands to attack, lynch and kill anyone they find coming in their way. They do so with confidence that they will not be caught. On the contrary, some of them are hailed for their actions. Such lawlessness by design is far more intimidating than a planned effort to inject fear because those targeted know that there is no recourse to justice. So it is not just the murders of Narendra Dabholkar, Govind Pansare, M.M. Kalburgi and Gauri Lankesh that are aimed at instilling fear in those who dissent or ask questions. It is every lynching, every attack on a student leader, or on an RTI activist, and every arrest of persons conveniently labelled “urban Naxal” that is part of this larger project. Fortunately, despite this, there are still individuals – journalists, RTI and human rights activists, others – who are willing to ask questions of the powerful, who are not easily intimidated, who believe that in a democracy, every citizen has the right to demand accountability from the powerful. Kalpana Sharma is a Mumbai-based independent journalist and currently readers’ editor with Scroll.in.